Hi, My name is Roo and I’m a Disney addict. All my life I have loved everything Disney. I was fortunate enough to visit Disneyland in Anaheim when I was 8 years old with my Mimi (my grandma) and ever since then the love affair has only intensified. It was only yesterday that my Aunty reminded that I would have been about 5 years old when she took me to see Sleeping Beauty and I danced in the aisle (and I was the only one). Over the years I have been to Disneyland and Walt Disney World a few times and have always left even more enchanted. With all these visits the Disney food addiction has also intensified. 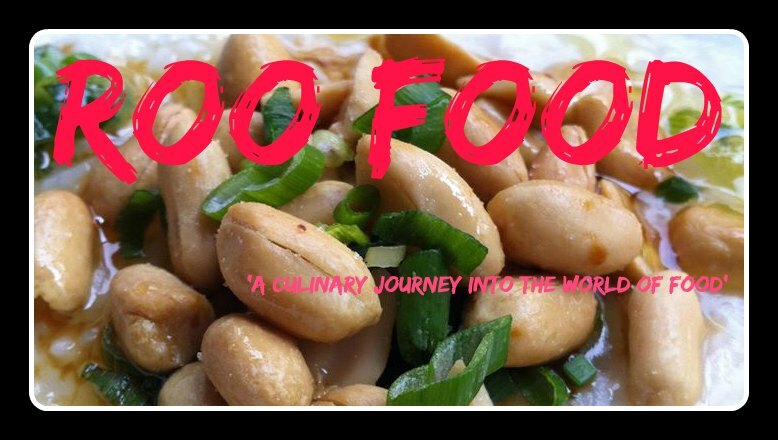 Back in 2010 I spent 14 nights at Walt Disney World for the Epcot Food & Wine Festival (see previous posts) and as any Disney addict would know, I made my dining reservations 180 days before the trip and only managed to get all everything I wanted for the days I wanted. After the night before and the morning of putting the final touches together I was ready for the party to begin. 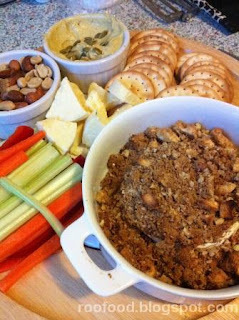 I get impatient when I just want to start dinner parties. I greeted my friend at the door dressed like this! But I know all of you are eager to hear what food was on offer, right? So here it is. 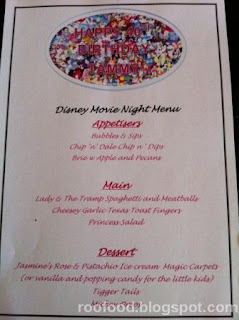 The Enchanted Menu! The kids sat at the kiddie table and us adults at the other kiddie table! For the main I served a simple Lady and the Tramp Spaghetti and Meatballs, Cheesy Texas Toast fingers and a Princess Salad with Pomegranate seeds (these were the rubies!). 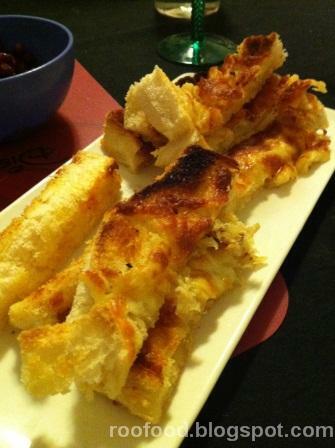 Simple but delicious. 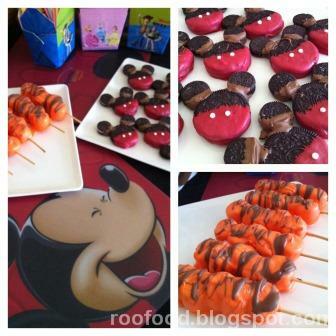 I wanted to keep this simple considering dessert and treats were going to be the central part of the party. 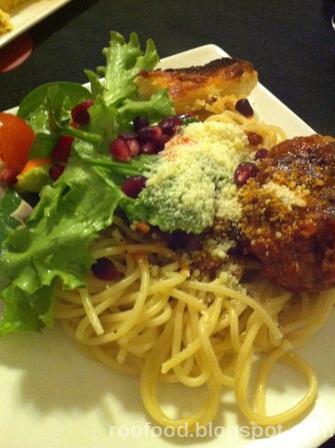 Big meatballs made from beef and veal a rich tomato and bacon sauce on a bed of spaghetti. I put out all my Pukara Estate balsamic vinegars and oils to dress you own salad. I had Fig Balsamic Vinegar (which is my favourite). After a brief break and some Disney movie time dessert was awaiting. During the night we watched Disney movies that we hadn’t seen before (or for years). Sleeping Beauty, The Little Mermaid 2 and Fantasia 2000. This was the special dish of the evening. 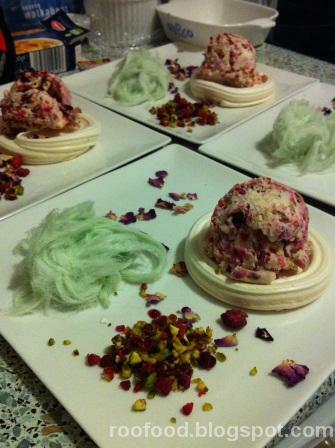 Jasmin’s Raspberry, Pistachio and Rose Ice Cream Magic Carpets (meringues) –I served this with a frozen raspberry and pistachio crumb, rose petals and pistachio Pashmak (Persian Fairy Floss). 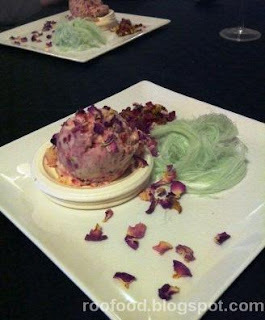 The ice cream was dense with frozen raspberry pieces and pistachios. The hint of rosewater was not overpowering like I thought it might have been after being a little heavy handed with the pouring of it and the pistachio Pashmak was silky soft and amazingly flavourful. I have had to hide the bag because I keep going back to it. The real kids had vanilla ice cream with Popping Candy. 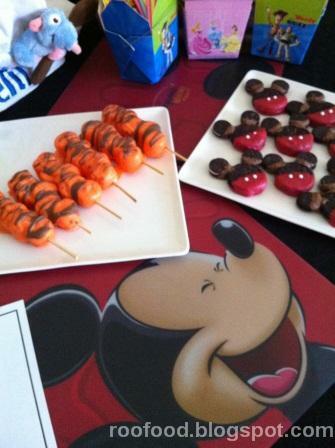 We are now full after double helpings of dessert but we have to finish the evening off with Mickey Oreos and Tigger Tails. These are treats you can buy in the Disney parks. Aren’t they just so delightful and cute and they certainly brings out the inner child. 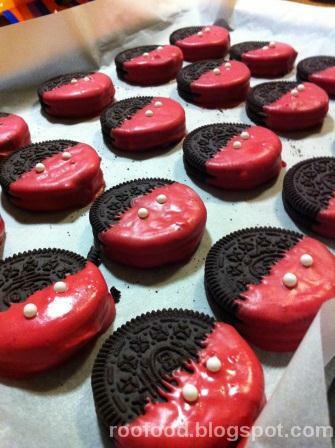 They are super easy to make too. The oreo cookies a packet (or 2) of normal oreos and multi packs of mini oreos. 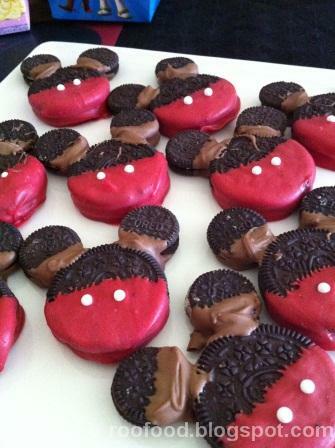 The mini oreo cookies are glued on with chocolate (use dark chocolate!) I used milk and it’s to light. Dip half the big oreo into red chocolate (or red candy melts) and stick on 2 white sugar beads for his pants buttons. Lay on a baking paper lined tray to set. 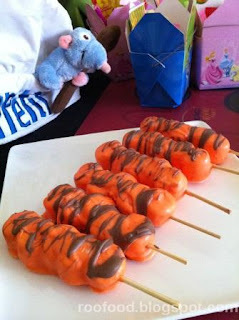 The Tigger Tails are five marshmallows threaded onto a stick and dipped in orange chocolate. 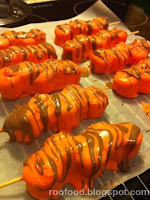 Drizzled with dark chocolate (again I used milk chocolate but dark would work best) and set in the fridge. As everyone left they were given a Princess’ or Toy Story lolly box to take home. 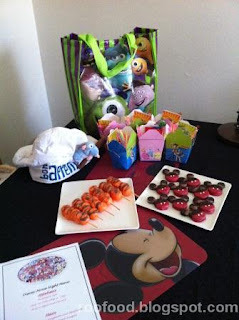 Because every kids party needs a lolly bag! 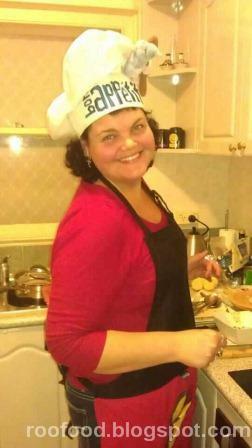 Happy 40th Birthday Tammy. I hope turning 40 is a magical filled birthday! Some other random photos of the day. 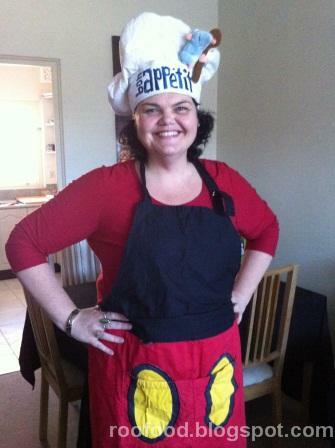 It was a magical dinner party Roo. So honoured to have been a part of it. That ice cream was absolutely to die for. Yum. Yum. Yum! Superb Disney party!! Seriously liked everything. 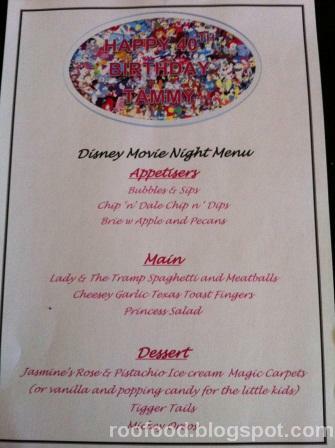 Planning to have this Disney dinner party at venues in Chicago for my friends. Would love to try your ideas for the day. Will take my friend’s help too. Wish to arrange an enjoyable party.